Remodeling takes effort, time, and money. Remodeling an average home, in most cases, takes almost the same time and money like remodeling larger rooms. 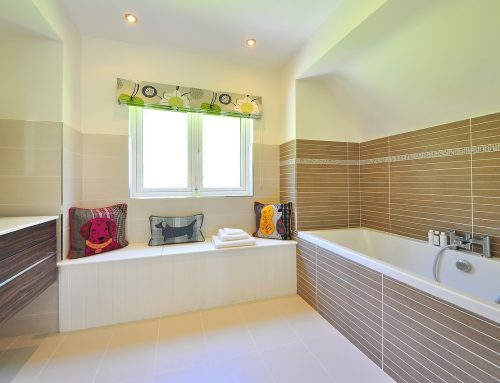 The bathroom is often the smallest room in most homes. It is typically box-shaped and lacks extra space for going around freely. Hence, every inch needs to be used efficiently. 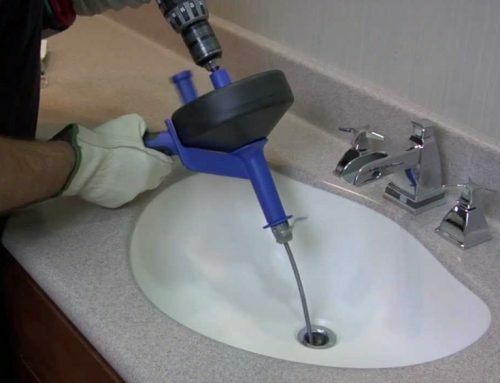 This is often due to the fact that faucets and fixtures, bathroom vanities, toilets, and showers have to be fitted in the tiny space and at some point, the fixtures would be impossible to downsize any further. Should I take some space from the closet, living room or the bedroom? Should I reduce the shower/bathtub or the vanity space? Should I make some changes that can enlarge the room without having to do major renovation work? You will be limited from grasping how much space you have if you can’t view it properly. Here, the goal is removing clutter from the space. Take out shower curtains, garbage basket, window coverings, towels, floor items, and items placed on cabinet shelves and the vanity. Once you do this, you will have clean space and see how you can manage it efficiently. 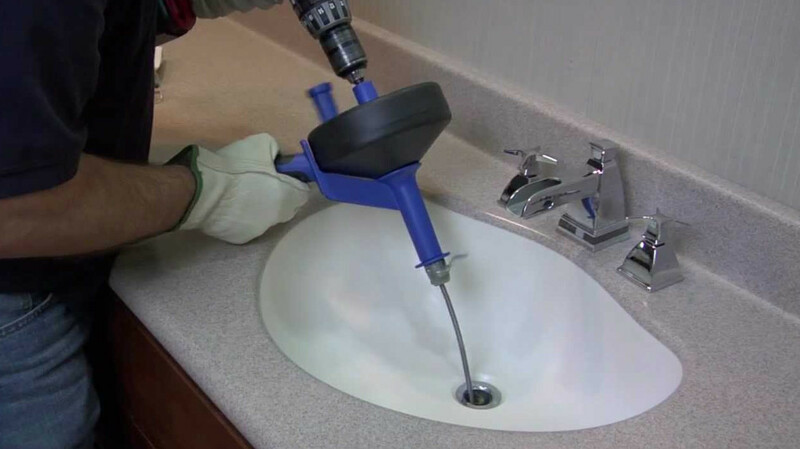 Remodeling your bathroom, just like with a kitchen, may easily blow away thousands of dollars. Hence, decide the maximum amount of money you can spend without squeezing your finances. It will not matter even if you only have a little to spend. It will still work as a starter. If your bathroom toilet is functioning properly and its color isn’t offensive to new color schemes, why not maintain it? At times, all that is needed is a new flush mechanism or another seat and not necessarily replacing the entire set. Also, the bathroom sink may still be in a good condition while the cabinet requires just some new doors or a new paint. May be the tub or shower stall is working perfectly and can be decorated with new, rich shower curtains. This way, you will be making a lot of savings. 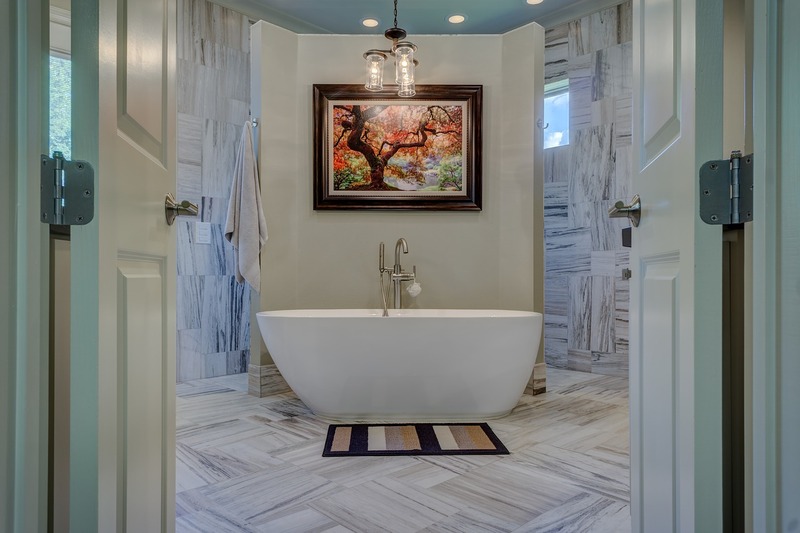 The bathroom floor is extremely crucial due to water on the floor and damp air. 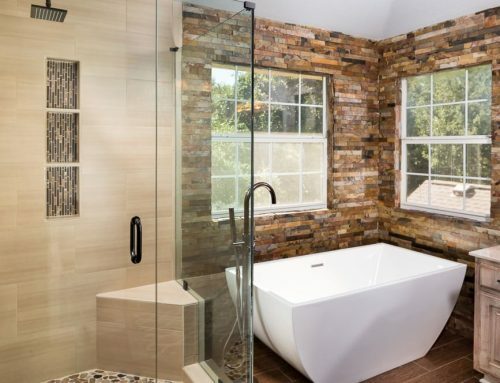 A bathroom is often built like a large aquarium tank, designed to be watertight such that the floor and walls do not get water or moisture logged. If they get waterlogged, it would result in mold and rotting. 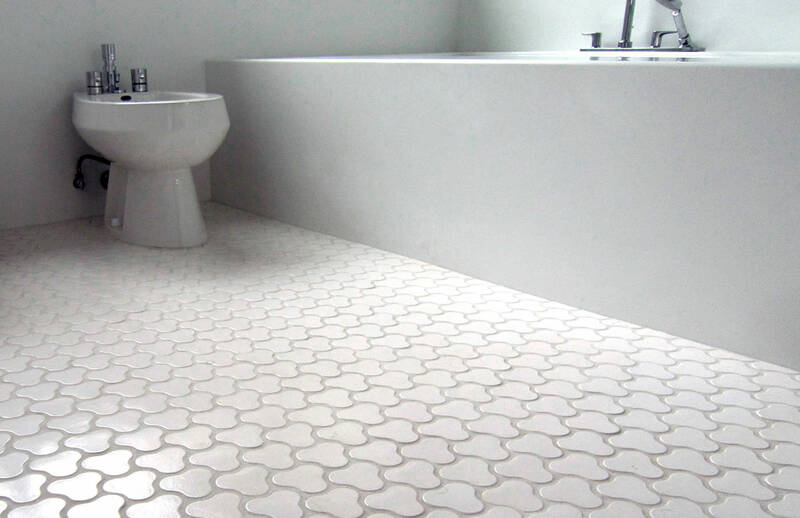 When renovating or building the floor, consider quality tile or linoleum. You should start with checking whether the floor has signs of mold or rot. 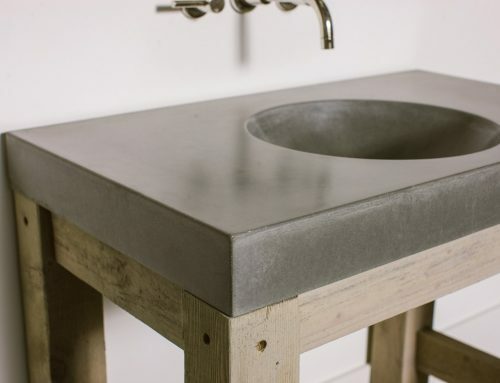 If you’re doing a total bathroom renovation, don’t mind spending some extra money to replace lower walls and the floor with waterproof cement or gypsum board. It will be a worthy investment as it will be more durable. You can easily spruce up the bathroom by giving it a brand new paint, preferably a different color than the current one. However, you can repaint it with the old color scheme and the room will still look like new. Since you are dealing with a small space, go for an airy, shade light color. Think about the new wall fixtures that may match with the new motif. You can even use two-tone designs to make the space appear bigger. 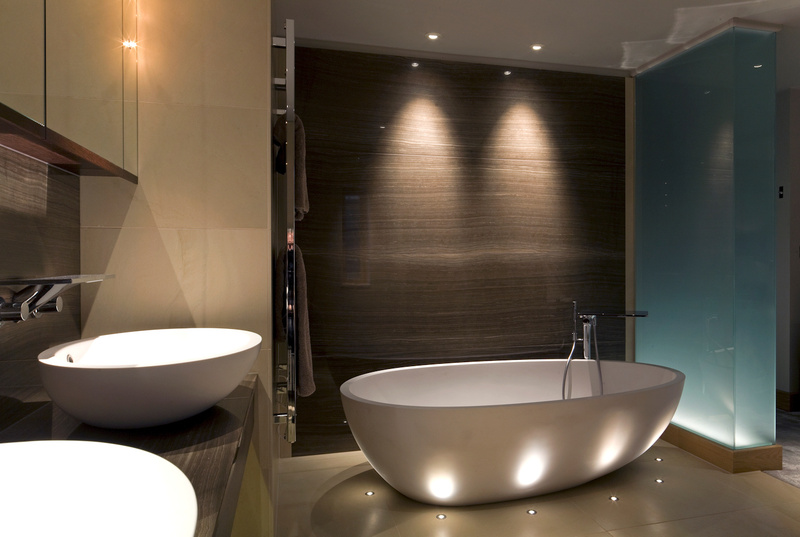 Another way of making your bathroom more relaxing and cool at a little cost is lighting. Different lighting designs can make the room look like new. 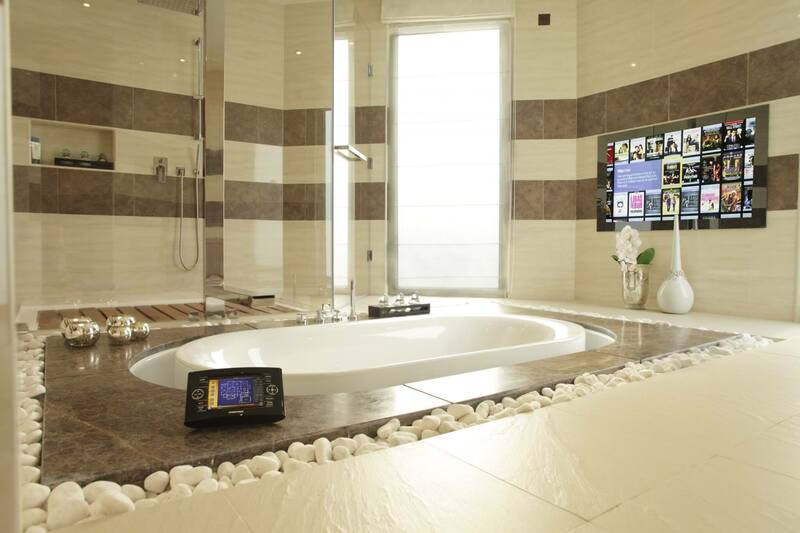 Spare some time to snoop around different stores to get the best lighting system for your bathroom. However, keep your budget in mind to avoid overspending. 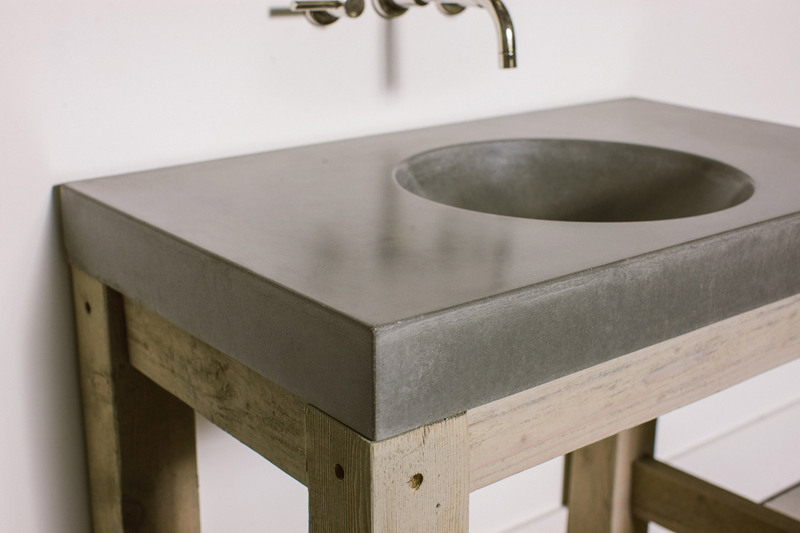 The ideal hardware for your bathroom, just like for the kitchen, can give your bathroom a new touch of style without spending too much on it. You can simply replace the toilet paper roll racks, taps, vanity pulls and the towel to make your bathroom look like new. In case you have sealed the bathroom by constructing a brand new floor, consider spending some money on a high-quality ceiling fan. Once done, calculate the cubic ft per minute (CFM). Hence, go for a fan that has a CFM of more than 50.4. Also, spending extra dollars on a high-quality fan means that it will surely last longer without being noisy like cheap ones. The audibility of a fan is measured in terms of sones. For instance, music playing in cars is around 4 sones while average street noise is 3 sones. A good fan for the bathroom should have 1 sone on average, which is comparable to the noise generated by a brand new refrigerator. Also, think about switching. You should consider whether you will want the switching connected to the bathroom light or not. 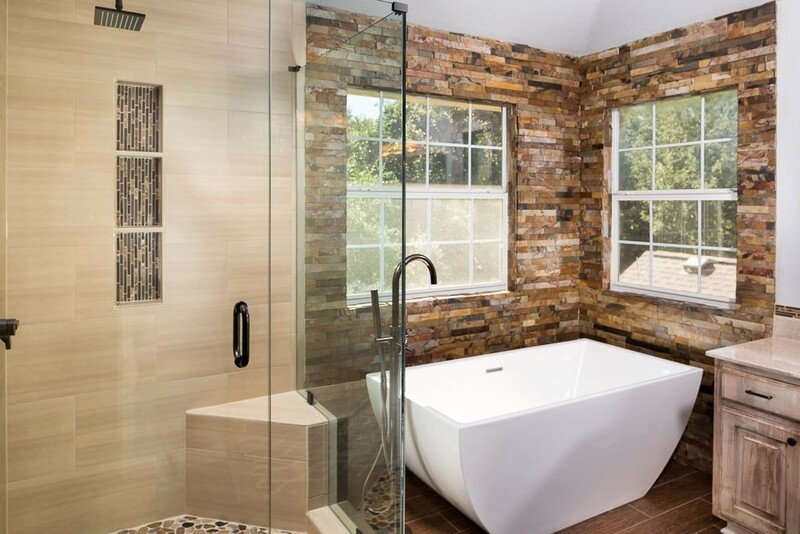 In case you have plans of expanding or building a larger bathroom or even constructing a new bathroom in the basement, then consider getting a professional contractor to save your money and time. Professional remodeling experts will do the right thing without guesswork. Additionally, they have proper permits and credentials for doing electrical, plumbing and other renovation work requirements.